Old MacDonald Had a Farm by Bacciz Books presents in graphics, animation, and music, the classic tale of the many animals on the farm and the sounds they make. The interactive, story songbook for preschoolers and their parents, includes 60 interactive animations, physics simulations, and highly customized options that present a variety of activities on each full-screen page. With a professional vocal and banjo accompaniment, kids can sing along while they learn about 11 different farm animals. Old MacDonald Had a Farm exhibits the same kid-friendly design, combining entertainment and learning so effectively that young children will play with the app on their own for hours. 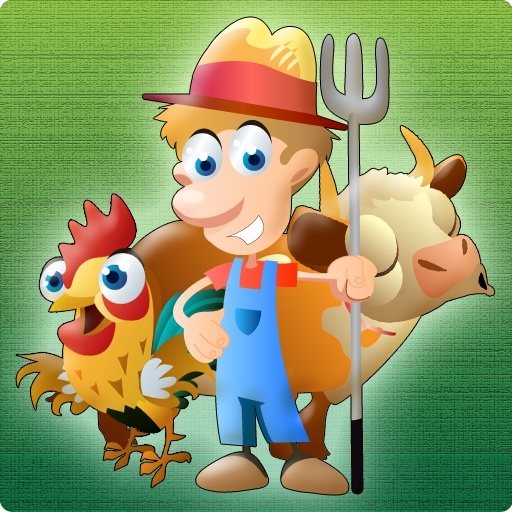 The app includes graphics and animation illustrating 11 different farm animals: Chicken, Cow, Duck, Cat, Turkey, Pig, Goose, Donkey, Dog, Horse, and Sheep. Each animal is seen in a different setting on Old MacDonald’s farm, a location the animal would most likely be found. Old MacDonald appears in every scene, along with an assortment of different plants and animals. Highlighted lyrics appear on the screen while the appropriate verse is heard aloud. Each full-screen scene includes both automatic and touch-activated animation.